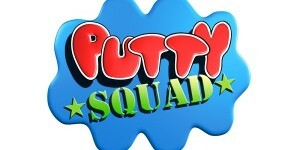 Putty Squad has it’s origins back in 1994 on the SNES. It was supposed to be on the Amiga and even the Megadrive but was cancelled on those formats for unknown reasons. 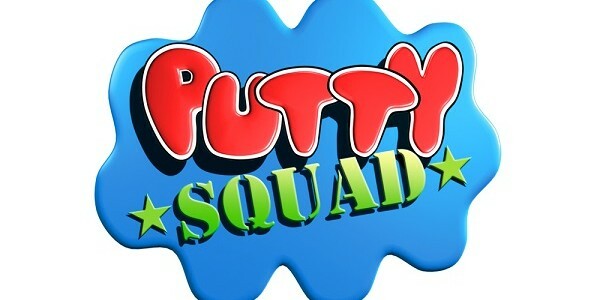 However, thanks to the efforts of UK-Based System 3 Software, Putty Squad has been re-released for a myriad of consoles, including the 3DS, so new and old-school player can rejoice in the gameplay of Putty. We at 3DSBlessed got the chance to play this title at Eurogamer Expo in Nintendo’s Indie Zone. 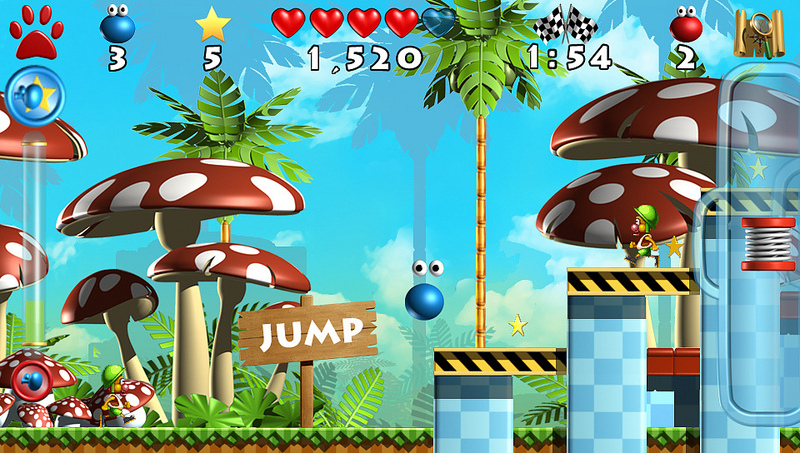 Putty Squad’s protagonist is a blue ball of putty who has a variety of moves such as absorb, punching, stretching and inflating. When you collect all the red putties scattered throughout the stage, a doorway opens up taking you to the next stage. There are a variety of weapons you can use such as nitro bombs, little toy soldiers and a pod in which you can drop bombs from. 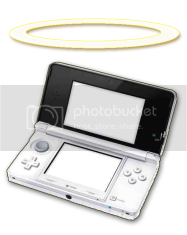 In the 3DS version the touch screen is taken advantage of in that you can view the map of the level to check out lost items like red putty and secret passages. It also demonstrates an inventory of items and weapons you have gathered. There are some issues in the demo edition. For example ; in the later stages of the tutorial, the platforms were blank and occasionally flashed. This should hopefully be fixed by the time the game is released (which is stated to be later this year). The game has a tutorial mode, marathon mode and challenge mode which will be great for those who want to get the best times on each level. 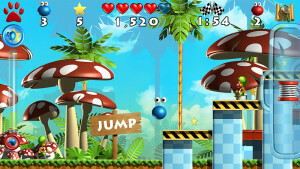 The re-release will also have features that were not present in the 1994 original such as downloadable DLC (extra levels). A great game for those looking to relive retro platforming and also a good way for System 3 to celebrate their 30th anniversary. There is talk of a playable demo coming out soon, via eShop so those who did not get to Eurogamer can experience the game for themselves.